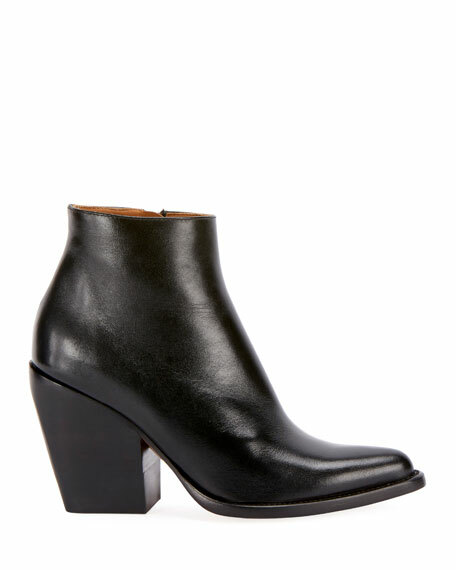 Chloe bootie in smooth, shiny calf leather with modern wrinkled finishing. MICHAEL Michael Kors cowhide leather bootie. 3.3" stacked stiletto heel. Peep toe. Cutout sides. Two adjustable buckle straps. Padded footbed. 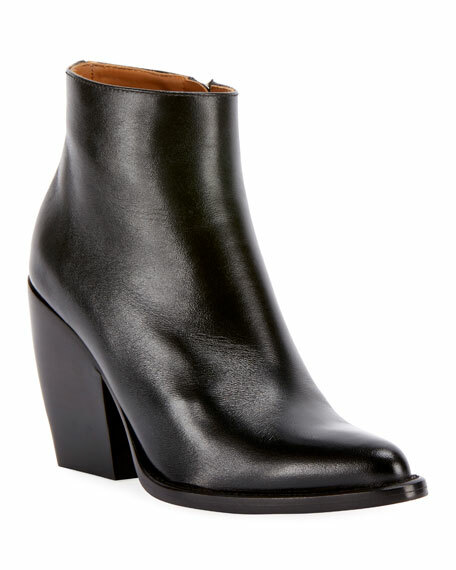 MICHAEL Michael Kors cowhide leather bootie. 3.3" stacked stiletto heel. Peep toe. Cutout sides. Two adjustable buckle straps. Padded footbed. Rubber outsole. "Blaze" is imported. Rag & Bone suede Chelsea boot. 1.2" stacked block heel. Round toe. Gored side insets. Looped tab at backstay. Pull-on style. "Walker" is imported. 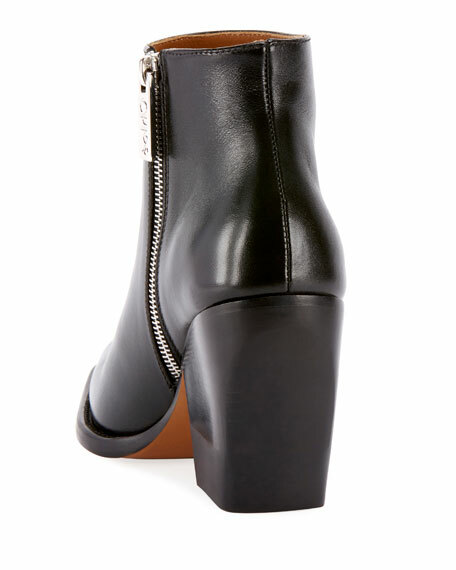 Saint Laurent "Joplin" napa leather bootie with allover stud design. 4.3" covered block heel. Round toe. Oversize buckle strap at collar. Side zip eases dress. Leather lining. Smooth outsole. Made in Italy. Fit note: Saint Laurent shoes run small. Please order a 1/2 size larger than you typically wear.